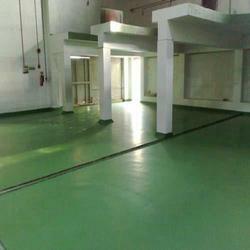 We are a leading Manufacturer of epoxy flooring, pu flooring, epu flooring and coloured epoxy screed from Mumbai, India. 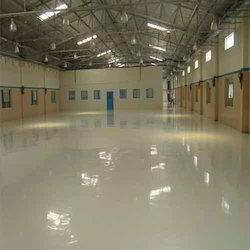 We are offering wide range of Epoxy Flooring to our valued clients. Epoxy Coating that we offer is a durable material for flooring and wall surfaces. Our range is known for abrasion resistance to surfaces, easy to clean and offers a very glossy look to the various exterior where they are used. These are standard 3 pack system and used for light & heavy duty application in floors and linking in tanks, chemical storage rooms etc. The system mixed in proper proportion can be applied as seamless screed from 3 mm. to 10 mm. A special variant of epoxy screed system incorporated with coal tar is available which is used for application in storage water tanks, tank foundation etc. These are isophthalic & vinyl ester resin based systems which is available as a 4 pack system and recommended for lining in tank foundations, MS/RCC Reaction vessels. We manufacture & supply, solvent based EPU Flooring with smooth finish for use in industrial and commercial environments. 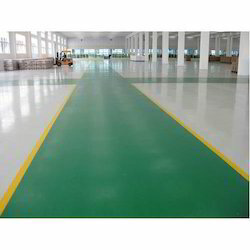 It is used to enhance durability and floor surface finish. It is suitable for Engineering, Steel, Packaging, Electronics, Food, Hospital and other industries. We are engaged in offering a qualitative Coloured Epoxy Screed to our valuable clients. We provide this flooring service in an excellent way & within a fixed time-frame. Offered flooring service is rendered by our highly experienced professionals using topnotch grade tools and advanced technology. Owing to its flawlessness and perfect execution, this flooring service is widely applauded by our precious clients.